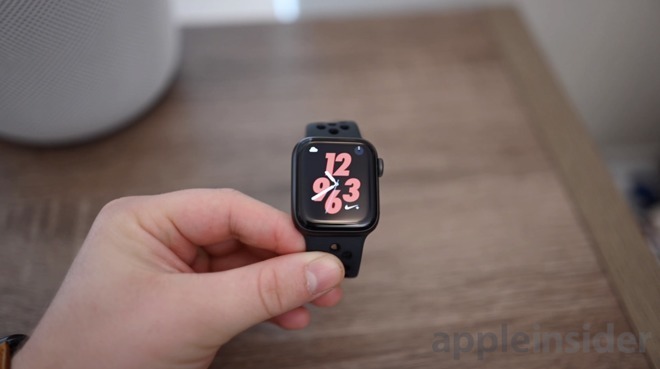 Apple CEO Tim Cook shared a tweet on Tuesday highlighting yet another Apple Watch Series 4 success story, with the device reportedly detecting atrial fibrillation in its wearer — and potentially saving a life — thanks to new ECG functionality. Elissa Lombardo reached out to Cook on Twitter to tell him about her husband's experience with Apple Watch. This week, just two days after receiving the device, Mr. Lombardo was alerted to a previously undetected A-Fib issue presumably that, combined with an elevated heart rate reading of 150 beats per minute, prompted Lombardo to seek emergency medical care. He rushed to the emergency room where doctors discovered blockages in his arteries. He had two stents implanted, a major surgery that suggests Mr. Lombardo was in dire straits prior to the warning from Apple Watch. "New Apple Watch saved my husband's life this week! Only two days old and it diagnosed A-Fib and 150bpm. He went to ER which he never did with same symptoms. Found major blockage in arteries as a result. Two stents later, he is as good as new! Telling the world. Thank U!" Elissa Lombardo said. This isn't the first we've heard of the Apple Watch, or the ECG feature specifically, saving someone's life. Not long after the ECG app launched with the watchOS 5.1.2 update, a user shared an experience similar to Lombardo's on Reddit.